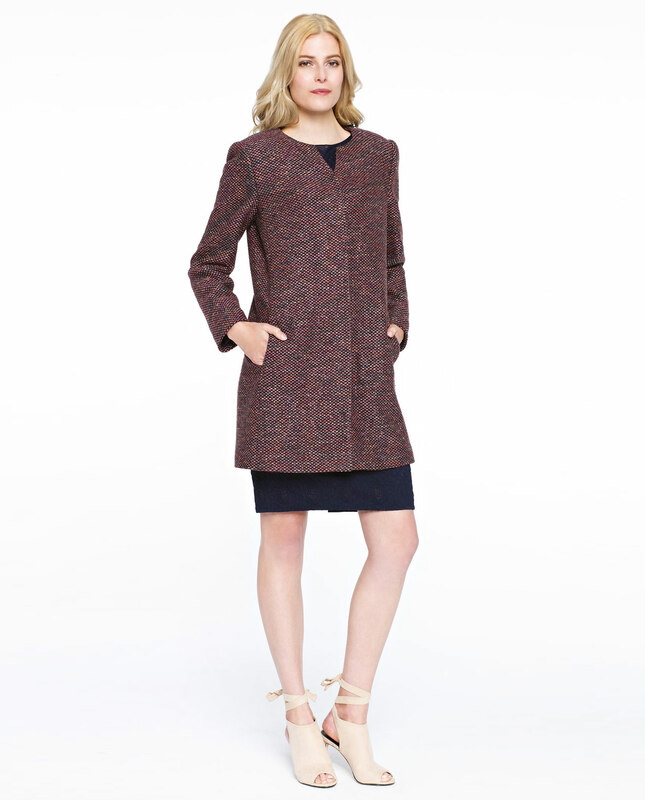 Well-tailored coat is a treasure in a posh woman’s wardrobe. There are a few coat types which have become timeless styles but the diversity of designs and colours is truly amazing. After all, it is not surprising: coats have literally made their way into our wardrobe thanks to their invaluably functional character and comfort they provide us with. PUCCINI features a simple oversized design reminiscent of relaxed fits typical of men’s wear. Seems nonchalant but remains elegant. Raw hemming, collarless design, covered zip, shawl and a set of pockets are synonymous to an updated, fresh take on how a woman’s wardrobe can actually look like. Golden lime PUCCINI coat with alpaca wool containing some sheep wool makes for a truly sophisticated garment which will keep you warm. Plus, its exceptional colour is this season’s safe bet. Exquisite satin lining in golden colour. What to match it with? A coat is an absolute must-have, and golden accents in somewhat pale shade are all the rage this season. It will be a perfect complement to casual as well as evening outfits. It is certain to gen you noticed whenever you turn your steps to.